Why do people lie? Perhaps every reason can come down to one: FEAR; trying to protect ourselves from some perceived danger (real or imagined). So great are the dangers of lying that one of the great 10 commandments advises us not to engage in this behavior. Yet people do. Politicians lie. Husbands lie. So do wives. Students lie. So do professors. Children lie, as do parents. Even priests lie. We manipulate the truth to our advantage, yet in doing so we give our power away. People try to rationalize their lies by calling them white. In an effort not to hurt others we sugar-coat the lie to make the situation palatable. It takes courage to tell the truth. Diplomacy helps. So does humor. In the words of Chaucer, “Many a truth be told in jest.” Today we are living in a world with many lies, from personal to global interests. When trust is lost by those we lie to, it is ever so hard to regain. Living in a cloud of lies, black, white or gray only deepens our separation from happiness. Step into the light. Make it a point to rise above the habit of twisting the truth for personal gain or pleasure. Speak not only your truth, but truth in all things, from the personal to the universal. Replace the filter of fear with the translucent filter of compassion in action through words. If necessary, add the filter of humor. Time is too short on planet earth to keep secrets and hide insecurities with words. Come clean with your thoughts, ask for forgiveness (as well as offer forgiveness, if need be) and sleep easier knowing you have a clear conscience. Honesty is always the best policy. This photo has absolutely nothing to do with today’s blog topic, but it was too good a photo not to share. 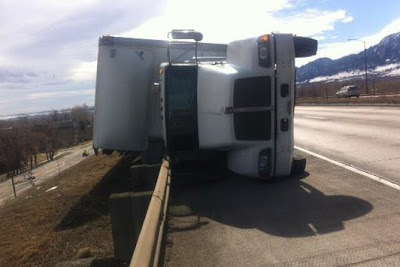 We have had some MAJOR winds blow through here in Colorado the past few days, enough to blow over a couple of semi-trucks, and that’s no lie. Enjoy!